Living with and managing type-2 diabetes is a difficult undertaking. One that too many of us must face alone and without proper guidance or support. Family members often lack understanding, and have conflicting lifestyle and eating habits. And missing a network of strong support at home leaves many feeling hopeless. These are problems that are fueled by three powerful misconceptions about type-2 diabetes. Have you been diagnosed with type-2 diabetes by your doctor? that this protocol will work for you. The underlying condition exists inside the body long before it’s labeled «Type-2 Diabetes.» When carbohydrates are habitually over-consumed, the body adjusts its internal chemistry to compensate. However, hormone re-balancing has a big impact on many other parts of the body. It causes imbalances in other chemicals, especially pancreas-disrupting lipids. Which we’ll talk more about further below. Over the course of many years, high insulin levels lead to a whole litany of health problems, including insulin-resistance... and eventually elevated glucose levels. Type-2 Diabetes can only be treated with medication. It is true that the symptoms of diabetes can be controlled with medication. Diabetic medications are a big source of income for the healthcare industry. These medications are necessary to treat dangerous levels of glucose. They can even be life-saving. Yet, managing the symptoms is all these drugs can do.. They cannot heal the condition. The underlying condition is a dietary disease and chemical imbalance. There are no drugs that can restore this balance and reverse Type-2 diabetes. However, there are other, more powerful options that can. Type-2 Diabetes is lifelong, and irreversible. Because there isn’t a «point of no return,» we can begin to restore balance at any time. It’s never too late to reverse the course of Type-2 Diabetes. Because it’s a dietary disease, the best way to do this is through a dietary and lifestyle action plan. Indeed, years of research has proven Type-2 diabetes can be metabolically reversed through a specialized meal plan and hormone-balancing lifestyle changes. The good news is that the DWD Protocol gives the opportunity for non-medical intervention. A scientifically sound way to prevent, treat, and in many cases reverse the course of type-2 diabetes and restore a healthy internal environment. Knowledge is power in your fight against Type-2 and Prediabetes. That’s why health-science and practical knowledge are at the heart of the DWD Protocol. It’s part of what makes this blueprint so powerful and so effective. The DWD Protocol is an all-inclusive science-based action plan for type-2 diabetics. It’s medically-reviewed and fully backed by Dr. Erica Song, M.D. Dr. Song is a Board-Certified practitioner with over 30 years of experience in the field. She graduated from MIT and New York University with honors, and has won numerous teaching, research and clinical awards. After years of experience and overcoming her own family-health struggles, Dr. Song made a life-changing discovery. She found that there was far more to the art of healing than traditional medical training. Determined to learn new healing philosophies, Dr Song pursued additional training through the California Stem Cell Treatment Center. There she learned stem cell procedures and treatments through the Cell Surgical Network. Dr. Song went on to earn certifications from the Institute for Functional Medicine, the Metabolic Medical Institute, and the Academy for Anti-Aging Medicine. She is also certified as a nutritional holistic health coach through the Institute for Integrative Nutrition. Dr. Song believes that true healing involves a blend of all these medical philosophies. At the core of Dr. Song’s unique approach is functional medicine, nutrition, and preventative lifestyle. An approach that identifies and targets the root causes of diseases and symptoms. She knows that understanding your health issues and concerns, and nutrition and lifestyle habits, forms the foundation for true healing. Rather than merely treating symptoms, Dr. Song’s approach allows her to create treatment plans that combine multiple healing philosophies and target the root cause of disease. With this approach, type-2 Diabetes was a logical next step for Dr. Song. Type 2 Diabetes is commonly treated by managing the symptoms with medications. Many patients and doctors are still unaware that the disease is preventable, and even reversible. Dr. Song seeks to raise awareness about Type II diabetes and dispel misconceptions to promote true healing for diabetics everywhere. Because Type II Diabetes is a dietary disease, it is most treatable at its foundation. The DWD Protocol was developed to use integrative healing and target the dietary roots of diabetes. The same roots that ensure it remains a chronic, ongoing disease. The DWD Protocol includes our ground-breaking Lifestyle Blueprint, a system designed to help you achieve optimal health and longevity. This is a step-by-step guide to natural nutritional support and behavioral strategies firmly grounded in science and psychology. The DWD Lifestyle Blueprint provides the tools people need to achieve long-term healthy change. 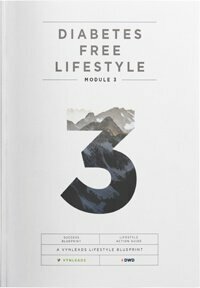 The Lifestyle Blueprint includes four-modules to address the most important lifestyle factors for type 2 diabetics. This fosters healthy habits by providing the education and tools for consistent and progressive success. Community support ensures that users stay on target. DWD grants families the control to prevent and overcome type 2 diabetes from home. DWD’s platform relieves our patients of the expense and inconvenience of face-to-face consultations. Fitting treatment and lifestyle changes into our patients busy lives and schedule greatly increases compliance overall. In the DWD Foundation module you’ll find the knowledge and power needed to engage diabetes on a level playing field. 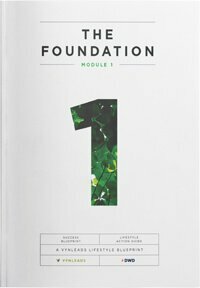 The Foundation module explores the biology of beating diabetes. You’ll understand the critical role science and nutrition play in the strategy behind the DWD Protocol. Dr. Song breaks it down in a nutshell, «At the root of Type-2 Diabetes is the ongoing damage to insulin-producing pancreatic cells. The DWD Protocol focuses on stopping the flow of the assaulting lipids that are causing this damage. This creates an internal environment where the pancreas is finally able to catch back up. From here, it can even heal the damage caused by type-2 diabetes. That’s when something really exciting happens, blood-sugar functions begin to normalize. 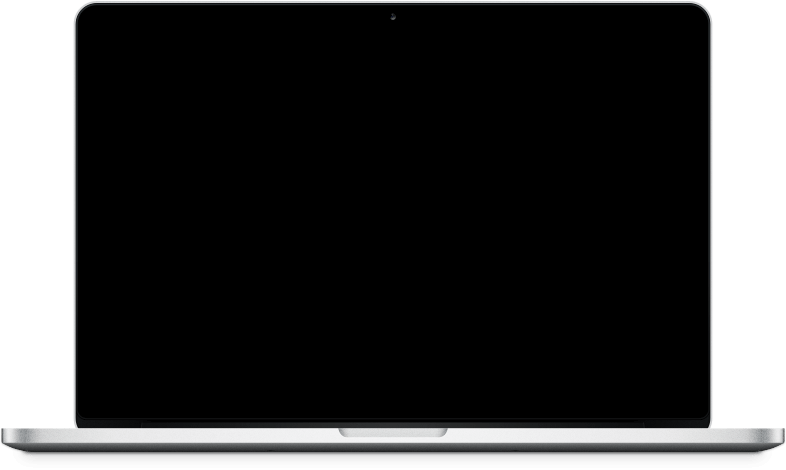 With this goal, the DWD Foundation Module is designed for daily progress. Each day you’ll learn more about beating diabetes and complete health tasks that lead you down the road to recovery. From analyzing nutrition labels to simple exercises. Each one, another step working toward activating pancreas and liver processes that target Type-2 diabetes at its root. With the science-driven strategy in place, the real work begins in Module 2. The DWD Meal Plan is a daily nutrition schedule complete with delicious recipes designed specifically for Type-2 diabetics. These easy-to-prepare meals supply robust nutrition and energy. At the same time, they also help engage internal diabetes reversing processes and are a critical part of the DWD action plan. At the core of the meal plan is the hypocaloric strategy. A technique taken from proven research that demonstrates the disrupting power this meal plan has on the type-2 diabetes-cycle. Remember, it’s all about creating the environment within your body that encourages healing and rebalancing. The great thing is, you’ll find that these meals leave you even more satisfied. Instead of flooding your body with extra food for small energy gains, you’ll begin metabolizing nutrient-dense foods efficiently. The end result is feeling healthy, vibrant, and energized all day long. At night, your body will rest easier and recover fully. Daily activities will no longer leave you short of breath, and you’ll finally be rid of headaches caused by glucose/insulin imbalances The positive impacts these changes have on your quality of life are immeasurable. Making the healthiest possible choice isn’t always easy. Some of the biggest setbacks type-2 diabetics face actually come from society, culture, and family. Educating your family and including them in the conversation is critical to controlling your type-2 diabetes. On the same note, it also prevents type-2 diabetes from ever gaining a hold on your loved ones. We now know there are strong genetic factors that contribute type-2 diabetes. Using this module to create a healthy lifestyle and culture at home will not only help reverse your diabetes, it may also prevent diabetes in your family members. What your family eats is just as important as what you eat. The foods you keep around the house make a world of difference. Yet, the Diabetes-Free Lifestyle is about a whole lot more than just food. In this module you’ll also focus on other ways to create a healthy internal balance. This includes reducing daily stressors and consequently stress-related hormones like cortisol. This module will introduce simple exercises that promote healthy hormone production, and even burn a few extra calories. During this internal rebalancing, sleep will become super-critical to success. That’s why improving sleeping habits and ensuring restful sleep is another emphasis of the Diabetes Free Lifestyle module. 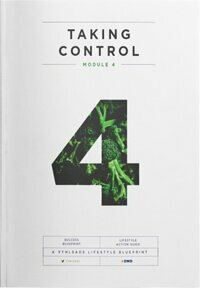 The first three modules relentlessly target type-2 diabetes at its root. Correcting imbalances and creating an internal environment that encourages remission of the disease. It’s important to know that even after your diabetes enter remission, the potential for it to resurface will always exist. If you revert back to dangerous habits and uncontrolled choices, Type-2 Diabetes can again rear its ugly head. That’s why the DWD «Taking Control» module focuses on transitioning to a long life free of type-2 diabetes. Understand that restaurant and junk food commercials, billboards, and radio ads exploit our psychological need and attachment to food. It’s ok to enjoy a sweet treat once in a while. We all need to satisfy this urge on occasion. The DWD «Taking Control» module acknowledges human nature and encourages moderation strategies. It gives suggestions on how balance it all out at the end of the day. This helps you transition into a satisfying routine, balancing nutrition with happy eating. These modules are based on research and studies that demonstrate how a healthy lifestyle can reverse the course of prediabetes and type-2 diabetes. These same lifestyle and dietary changes can prevent diabetes in family members. 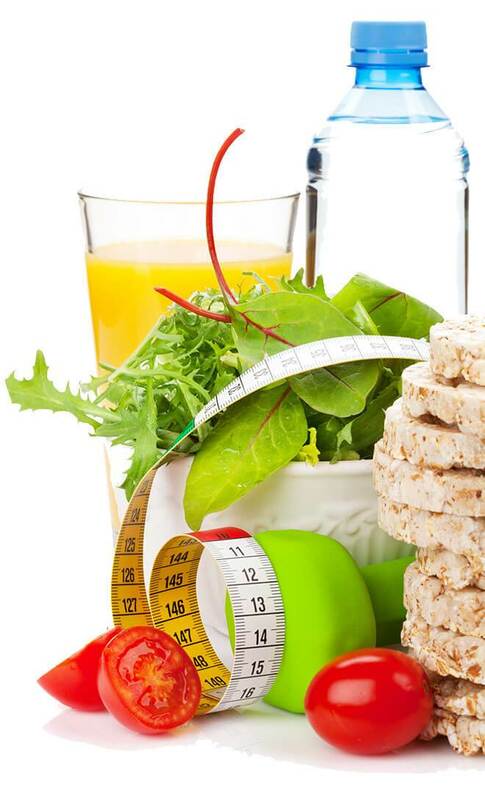 The very core of the program is the low calorie DWD reversal diet. It’s based on groundbreaking studies that show a very low calorie diet of 600 to 800 calories per day can reverse type 2 diabetes. But where other such diets employ meal-replacement shakes to achieve their goal, the DWD diet takes users through eight weeks of very low calorie eating based on real food. 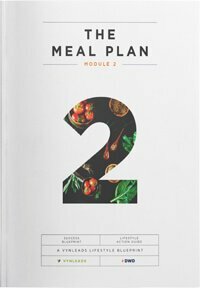 For the duration of the program, users will prepare their own healthy, low-calorie meals, aided by the dedicated cookbook included with each module. They will also learn to calculate their unique energy and macronutrient needs. By the end of the program will have all the tools they need to maintain a healthy weight — and blood glucose — long-term. Diet is only one factor affecting the development of type 2 diabetes. Each of the four modules addresses one important aspect of lifestyle and is designed to bring about positive change in that area. Each day, users will be given education, activities, and exercises intended to highlight the behaviors which contribute to type 2 diabetes and modify those behaviors organically. Please watch this detailed presentation from Dr. Erica Song, M.D., as she pinpoints "healthy" foods that lead to worsening conditions for high blood sugar, insulin insensitivity, and type-2 diabetes. Glucose average in 2 weeks totally normal. Energy good. I feel alive and my feet don't feel as numb and tingly as before. longer as improvements continue. Thanks DWD. levels are staying pretty much in a level well under 100. I feel GREAT! THANK YOU!!! In July My Blood sugar was 129 and in August was 105.
has two new clients who I have told about DWD. References to diabetes only include type 2 diabetes and prediabetes. This system does not work for type 1 diabetes. As always, please consult with your doctor before taking further action. These statements have not been evaluated by the United States Food and Drug Administration (FDA). Vynleads, Inc. and its network of sites are committed to bringing you the latest, most accurate, most reliable information related to a healthy lifestyle. Nothing stated herein should be considered formal medical advice and is not meant to diagnose, treat, prevent, or cure any disease. This information is for informational and educational purposes only. Only a licensed medical doctor can legally offer medical advice in the United States. Consult your health care professional for individual guidance regarding specific health problems. *Click Here or *here and here for evidence describing the benefits, performance, or efficacy of Low Calorie Diets, Glucevia, GlucodOX, and BenfoPure based on the the expertise of relevant professionals. Guidelines by the American Diabetes Association (ADA) and the American Association of Clinical Endocrinologists (AACE) recommend healthy eating, weight control, increased physical activity, and diabetes education as a foundation for T2DM management throughout the course of treatment.